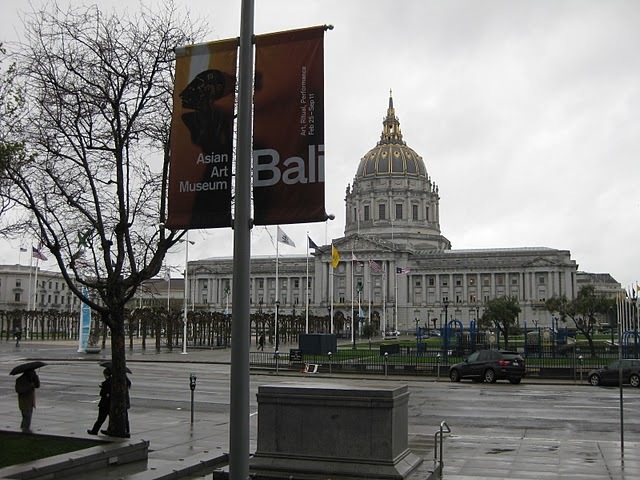 The Asian Art Museum in San Francisco, located directly in front of San Francisco City Hall, currently has a special Bali exhibit that runs till September 11, 2011. I checked it out with a friend last weekend and was pretty impressed. Like a lot of people, when I think of Bali (I’ve never been), I think of sandy beaches with a great party scene that attracts hordes of Western tourists. This exhibit promised to explore Bali’s history through its art, performances and rituals. I was particularly excited to learn more about the Dutch’s colonization of Indonesia and how this affected Bali’s culture and society. 1. Bali is predominately Hindu, which sets it apart from the rest of the country which is predominately Muslim. Many of the artwork, especially the religious works obviously, looks very much like what you see in some Indian exhibits. 2. “Puputan” means fight to the death. The Dutch (or more precisely the Dutch East India Company backed by the Dutch military), began colonizing Indonesia starting all the way back in 17th century. They initially left Bali alone but then took action against Bali in 1906 in order to gain greater control of the country. At that time, Bali was split into several kingdoms. As the Dutch advanced to some of the palaces, some of them were already deserted and in flames. Other palaces, such as the one in Denpasar, greeted the Dutch soldiers by marching out and killing themselves and others. Some of the women threw their jewelry at the soldiers. A final act of defiance and control in the face of impending doom. The Dutch proceeded to loot the bodies and palaces. As most of the works of art in the exhibit are from museums in The Netherlands, such as the Tropenmuseum, it was a weird feeling to learn about Bali through artifacts probably looted from the country by the colonizers. The night ended with a fully belly after enjoying an Indonesian dinner at a friend’s place. Tonight, after much badgering, I’m going to an Indonesian restaurant for my first ever rijsttafel. It’s a prelude to the fancier one that we’ll be going to in Holland come May.